Rebonding is a chemical process that straightens the hair. This straightening method is available for all hair types. The chemicals break the natural bonds of the hair--whether curly or wavy--and restructure these bonds to make hair straight. 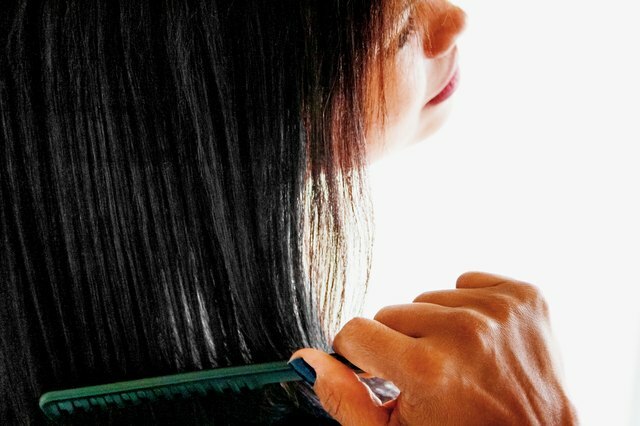 Rebonding is a permanent process that leaves hair sleek, smooth and straight. 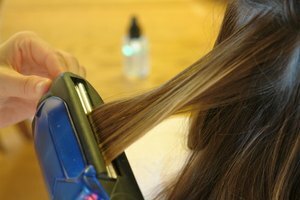 Rebonding is a time-consuming process that has to be done correctly to prevent hair from falling out; therefore, many people use trained hair stylists to rebond their hair. 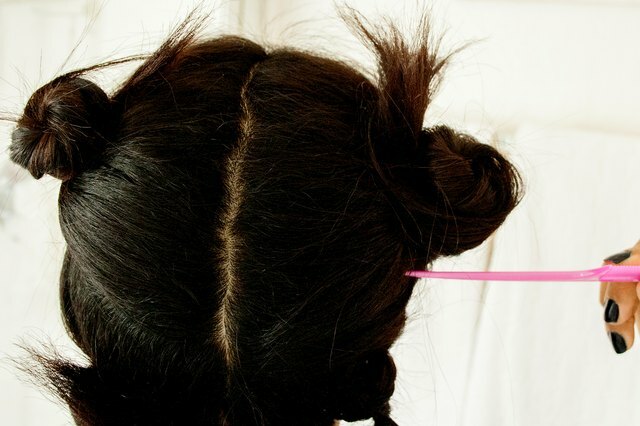 However, you can do it yourself with an at-home rebonding kit. Rebonding shoulder-length hair takes about four hours. Wash hair with mild shampoo, rinse out and dry with a blow-dryer on medium setting. Separate hair into sections with a comb. Hold sections in place with hair clips. Put on the gloves that come with the kit. 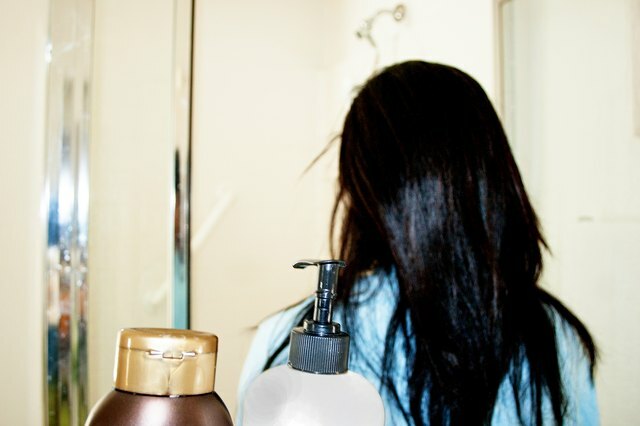 Apply the relaxant or cream softener to the hair. Keep the product on your hair for at least 30 minutes, but check the directions of the rebonding kit that you're using because each kit has its own time frame depending on the chemicals used and the texture of the hair. 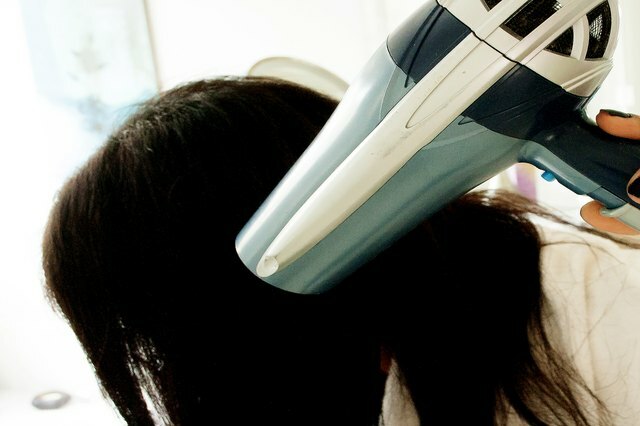 Steam hair for 10 to 30 minutes with a hair steamer. 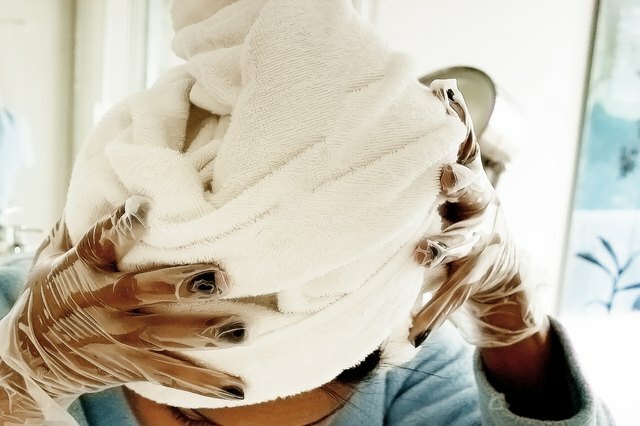 If you don't have a hair steamer, boil a pot of water on the stove, put on gloves, place a towel in the hot water, ring it out and then wrap it around the hair. 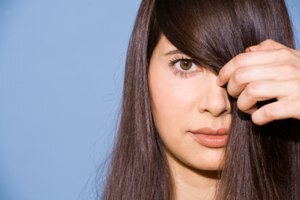 The length of time for steaming depends on the texture and condition of the hair. 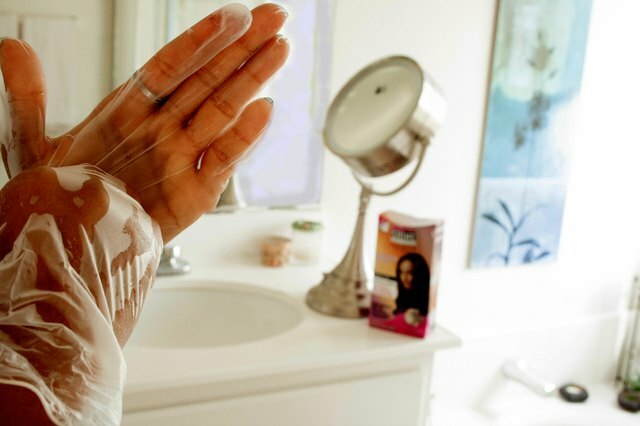 Rinse out the relaxant or cream softener in water. 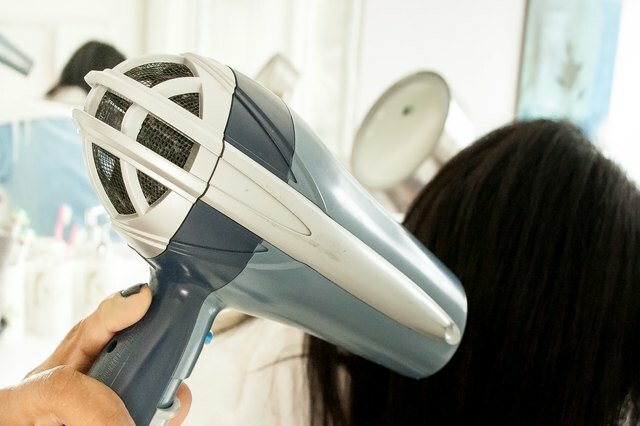 Dry your hair with a blow-dryer. Apply the keratin lotion to the hair. The hair is made of keratin, a form of protein. Leave lotion on hair. Do not rinse out. Iron hair with a ceramic flat iron until hair is straight. 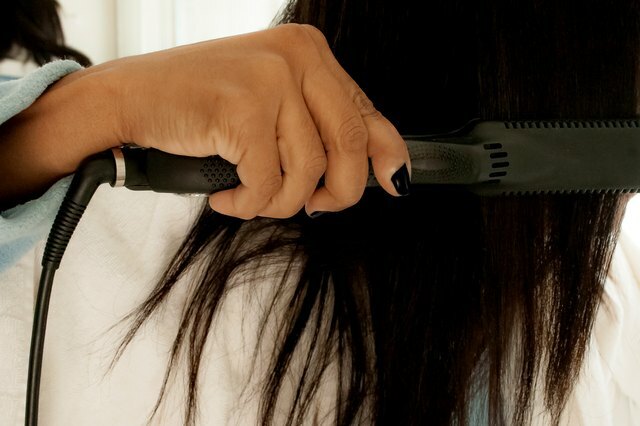 The flat iron removes any remaining curl. Separate hair into sections. Apply a neutralizer to each hair section. Leave neutralizer on for at least 30 minutes. Again consult the directions on the kit. The neutralizer sets the new bonds of the hair. Rinse out neutralizer in cold water. Blow dry hair until it is completely dry. Iron hair with the flat iron again for a final touch-up. 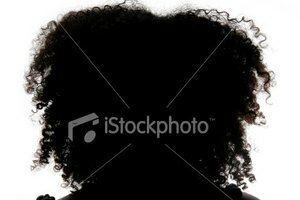 Don't wash your hair for three to four days after rebonding. Don't wear any kind of hair accessory, such as clips, rubber bands or barrettes. Wear a shower cap during bathing or showering to keep your hair dry during these first few days. 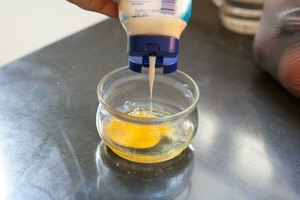 For best results, use high-quality products. According to the India Parenting website, taking care of the hair is very important after rebonding. If you aren't very gentle with your hair, some hair may fall out.